I’ve only ever heard one other song by Survivor (yes, that one). But now that I’m acquainted with “High On You”, I’m a little sad that I’ve heard two Survivor songs. When the song started it reminded me exactly of Heart‘s mid-tempo power ballad “All I Want To Do Is Make Love To You“, a song that I had rather optimistically hoped I could manage to avoid hearing for quite a while. (Staying away from the radio really helps there.) Ah, well. But back to “Stuttering”. To me, it’s beyond awful. I don’t even think it qualifies as kitschy, ironic, post-ironic – or any other way that people find to giggle at bad songs. And I’m extremely keen on never hearing “Stuttering” again. Ever. Song of the day: Animal Logic – "There’s A Spy (In The House Of Love)"
Animal Logic was a supergroup-of-sorts. It was formed by hyperkinetic Police drummer Stewart Copeland (aka “The Fastest Hi-Hats in the West”), jazz bassist Stanley Clarke (one of my all-time favourite four-stringers – honestly, this man’s bass playing turns me into a fanboy every time I hear him play), and singer/songwriter Deborah Holland who provided the songs and the singing. The trio then recruited hotshot studio guitarist Michael Thompson for six-string shenanigans. 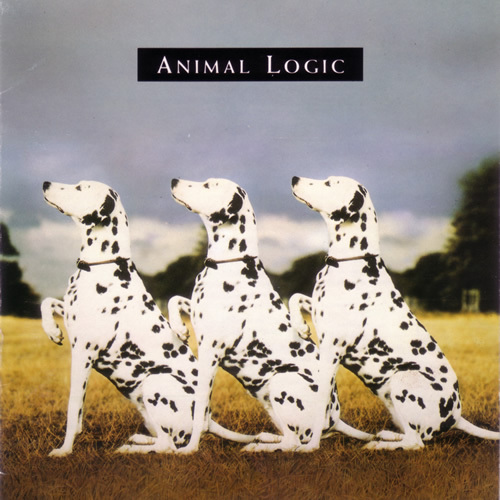 Animal Logic only made two albums, and neither of them dented the charts in any serious way. As a result, they quietly disbanded, never to be heard of again. As far as I’m concerned, it doesn’t matter how fancy your instrumental prowess is – if you ain’t got the tunes, you ain’t got anything worth listening to. You are currently browsing the archives for the Animal Logic category.